Sometimes I have to pinch myself when I think about what I do for a living. I make food that my family loves. We eat that food. I share photos of the food on the internet…and then I get paid. And sometimes, when I’m really fortunate, brands that I am already using in my recipes pay me to create my favorite recipes. WHAT the WHAT?? But I’ll tell you, blogging isn’t really as easy as that. There are many hours behind the scenes: creating recipes, grocery shopping (oh, the grocery shopping, sometimes running out 3 times a day…cause I forgot the garnish). The photography, the editing, the writing, the social media promotion, and finally, all the back end stuff that most of us bloggers hate…accounting, record keeping, and contracts. But at the end of the day I wouldn’t trade my job to go back into the workplace again (did you all know I was a Registered Nurse??). I mean, the luxury of being my own boss and working in my PJ’s can’t be beat. Working from home though comes with it’s own sets of challenges. The constant push and pull of working for the blog, and working around the house. The struggle is real and it takes discipline to separate the two to feel accomplished in both areas. I am at a point in blogging that I am happy. I love what I do. I love the schedule I have made for myself. I’m content with my income. And I’m ready to give back to my community. If you’re a blogger and you’re wondering, I want that. I want to be happy. Dang it, I want to be CONTENT. Stick around, I’ve got a story for YOU! It wasn’t always this easy. I wasn’t always this content. And I certainly haven’t always made this income. But by achieving work life balance, all the pieces began to come into place. My blog traffic went up drastically when I learned how to work efficiently. In learning how to work smarter, I also learned how to enjoy my life. Take those coffee dates with friends. Go on daily walks and hit the gym. Unplug (YES!!!) with family and give them the attention they deserve! It’s been a wonderful cycle of happiness…the happier I am in my life, the more I enjoy the work of blogging! So now you’re sitting there (maybe? Is ANYONE there??) wondering, how did you get to that point? How do you keep up with the ever-changing world of blogging and social media? How do you unplug when there is always work to be done? Well, let’s start at the beginning…. I began blogging in 2007. My family had moved from Illinois to Ohio the year prior and I thought blogging would be a great way to keep in touch with family and friends back in IL. So I used the platform to share funny stories, pictures of my kids, and the occasional recipe that I had made. Eventually, I began sharing lots of recipes (early 2011), and people I didn’t know began commenting on my blog! It kind of freaked me out. So I learned a little bit in early 2011 about food blogging and decided to see if I could do it. I changed the name of my blog and officially became SHUGARY SWEETS. I shared some delicious recipes with hideous photos, and I loved every minute of it. Even though, I worked nearly all day long. 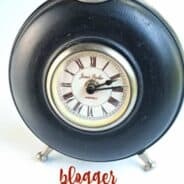 Mostly, I was commenting on every blog I could find, and linking up my hideous photos to link parties on other pages (these were a big deal back in the day to get your food featured on big blog sites)! WHAT???? PLAYING ON THE COMPUTER???? Did they not know how hard I was working? How I just wanted to have my blog grow? I wanted to make extra money….FOR THEM?? Of course not. They didn’t know these things. They didn’t know that I even had a job. We never really discussed it. To them, I was still the same stay at home mom I had been for many years. Except in their eyes…I was always on the computer. It was like a punch in the gut. I didn’t want to give up this blog that I had created, and this circle of friends I was making on the internet. But, I also couldn’t do what I had been doing…neglecting my family so that I can do one more post, one more tweet, one more pin before heading off to bed. My husband and I had talked about goals, both financial and work related. I had to figure out what is it I wanted? What was I trying to achieve??? And how on earth was I going to do it? After creating a very reasonable work schedule for myself, we told the kids. Mom has a job. Back then there weren’t that many schedulers that could achieve the results I wanted on pinterest and facebook, so being LIVE was needed. I created a schedule where I only worked about 20 hours a week, with only about half an hour of my evenings on the computer (to pin and share a couple things on facebook). My kids were all in school during the day now, so my goal was to get my work done while they were gone, so that when they are home I am present. Not just physically present…but mentally there for them. For nearly 4 years now I have followed this schedule..tweaking it as I go along and as the blogging world changes. I fluctuate in my time working each week, but I have learned how to get it done, and still be mom. So here’s your first task. What is it you want to achieve? Sit down and figure out what are your goals? As this series (yes I’m going to make it a blogging series) progresses….I hope you find some of my tips and tricks to be useful in your blogging life! 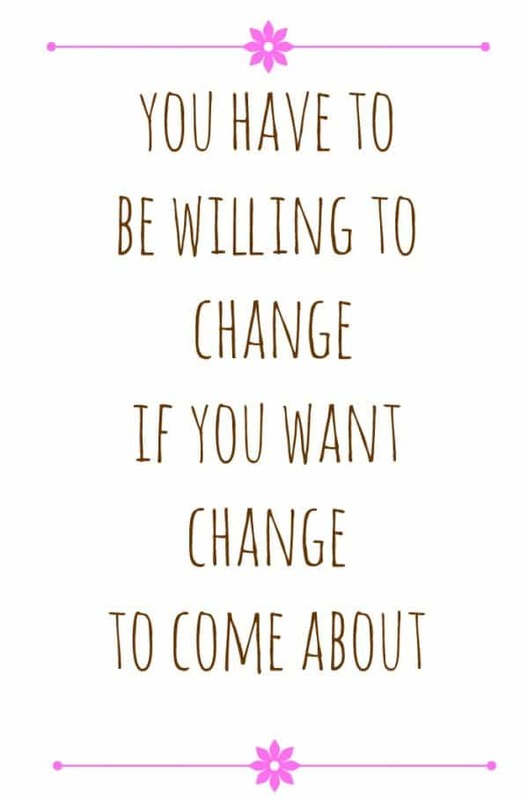 You have to be willing to change in order for change to come about. It doesn’t just happen. You can’t just say I want to be stronger and healthy…but eat donuts and never workout a day in your life. I don’t have that kind of magical solution (although man, if I did, I would want to just eat donuts all day…). 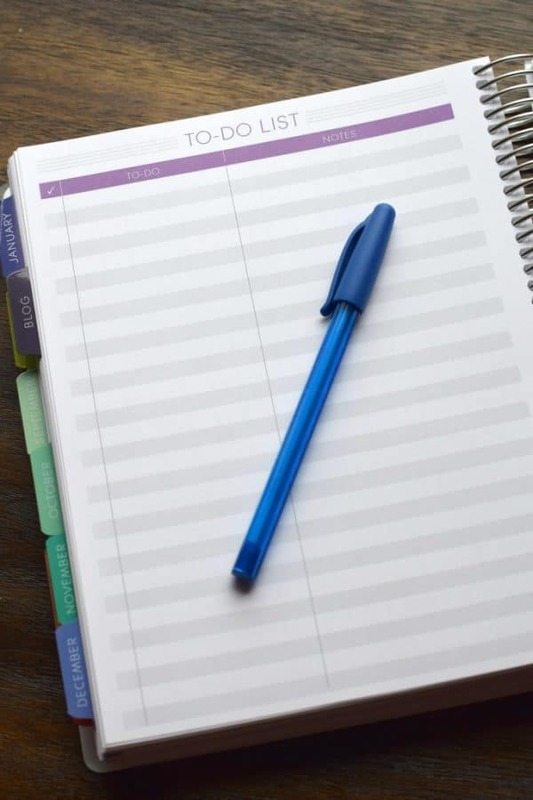 You must be willing to inventory your time and evaluate WHAT are your priorities? In an ideal world…how much time would you LIKE to work? Part time? Full time? Also, are you willing to make the changes needed? Finally. If this is something you’re interested in…join me in my Facebook Group…aptly named “Blogger Work Life Balance.” I’d love to get to know you better and help you reach your goals! You are amazing. You GET life!! Thank you for being willing to guide us and help!! I just joined your group! I love this post. I work full-time (not on my blog), so I have a slightly different set of challenges, but the bottom line is that we all need to find balance in our lives! Such a well written post about what it’s really like to be a (food) blogger and all the behind the scenes stuff, the life and family balancing act that we are always juggling, and that it’s not quite as glamorous as just making some cookies and taking pics of them 🙂 I can especially relate to the 3x daily grocery store trips…and back one.more.time. because you forgot the garnish. Yes! But that overall we are happy and we couldn’t sustain this pace and this everything if we weren’t genuinely happy! Thanks for sharing Aimee! This is great and so important. While I’m not yet a mother, my balance is between full time work and blogging and I have definitely felt the struggle and pressure to consistently get those posts turned out on time. I look forward to more posts in this series! Thanks for sharing! I’ve been interested in blogging but don’t think I have the time. I have my day job, family and now I’m trying to pursue a small baking business. I’ve always wondered – how do y’all come up with so many recipes? Lots of practice, trial and error? Adapted from others? This is a post that speaks to many people. Thank you for always sharing so openly! I am so blessed by your friendship. Aimee, this is a series I definitely will follow! I’m also joining your fb group. I have been trying to get my blog going for a few years but could never get regular at it. I lost my job a few months ago and I have been trying to make a concerted effort to be regular since then. My husband is disabled so staying home with him has truly been a blessing but I still feel like I need to do my part financially. I’ve recently made a schedule for blogging/posting and hope to be able to really stick to it. My two younger children still live at home and have been very supportive in grocery store trips for me, lol. I can’t wait to see what you have in store for us! ???? Thank-you for that post. I have been a faithful follower of your blog for quite some time,and have also wanted to start my own “baking” blog for a while now. Thank-you for showing the “reality” to food blogging. I don’t know if my dream of my own blog will ever become a reality for me , but I certainly appreciate what you have written here,and I hope its okay if I join your FB page even though I don’t have a food blog of my own. Good luck to you! Blogging can be so rewarding! I was browsing for fudge recipes and I came across your. My daughter is a huge Cadbury fan so I’m excited to try these for her. Hi Aimee. I just started to create my own cooking blog. I haven’t launched yet because it is not looking exactly the way I want it to. Blogging is hard. I have gotten stuck a few times and trying to do it without a mentor is very difficult. I still am figuring things out. I am retiring in two months and want to make my blog profitable. No big pension for me. Any advice would be great. I have asked others but no response. Thanks! Hi Aimee- I just requested to join the group. Thank you for this post. I just started my blog a few months ago and have been pouring my heart and soul into it ever since. 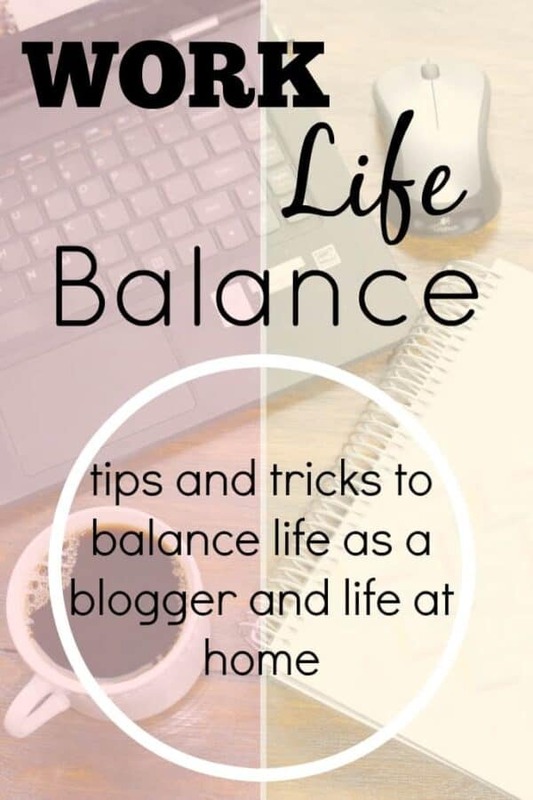 It’s so hard to find the right balance though between working full time, having 3 kids and finding time for the hours and hours it takes to get a blog off the ground. I love learning from and sharing with others and my passion for it is what drives me to keep going, but it’s tough sometimes. It’s always nice to hear from others that can relate. Thank you! Love what you wrote. Glad I am not alone. Also, am loving that planner! Where did you get it? Thank you 🙂 My planner came from Plum Paper. I love it!